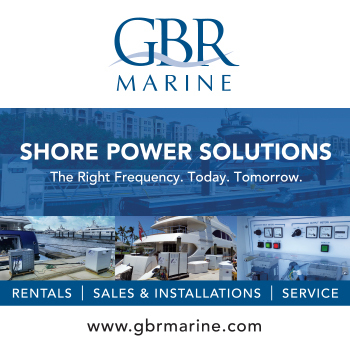 e3 Systems provide the very latest marine electronics to the most advanced yachts in the world. Today, due to the huge growth in demand for communications, their main focus and mission is to provide the best technology to connect people globally. The company connects yachts through a diverse portfolio of communication systems including its HYBRID solution, which synchronises VSAT, Inmarsat, Iridium, 3G, 4G and Wi-Fi. In addition, it provides an extensive suite of services covering cyber security and training, IT and networks, data management, content provision and a unique, full vessel Support Operations Centre. They provide multi-country, free roaming contract SIMS with a single APN. One of e3's most recent products is the innovative BIG DATA EUROPE SIM which delivers 4G data with no limits on usage and some the cheapest rates afloat. The total service is completed with TV and IPTV services together with media services and a full support team behind the scenes. e3 are part of “The Consortium” which specializes in new builds. Together with partner Tijssen Elektro, they are currently working on more than 11 new builds. e3 is the exclusive superyacht distribution partner for Kymeta communications solutions including the game-changing flat panel satellite antennas. This highly recommended group operates from the Mediterranean and the USA with a global network of partners. The e3 website provides up to the minute news and explanations of all their products and services. You can also follow e3 Systems on Twitter, LinkedIn and Facebook to stay up-to-date with developments. Of all the Captains interviewed for this Guide, it says a lot that e3 were, once again, one of the most consistently highly recommended companies of all yacht services.